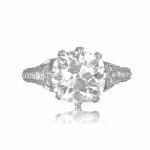 A stunning engagement ring, inspired by England at the turn of the century and mounted with a hand-cut antique diamond. 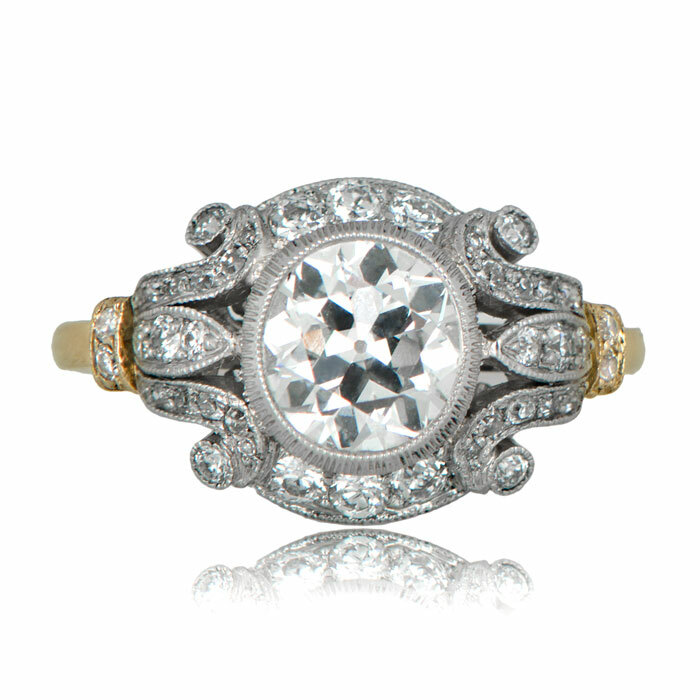 The shoulders are adorned with a diamond-studded scroll-motif fleur-de-lis. 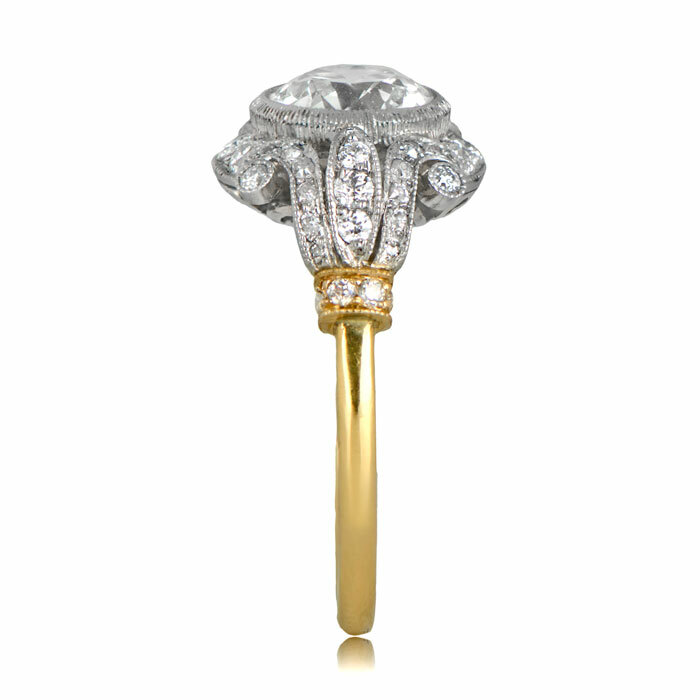 The handcrafted mounting features platinum on gold. 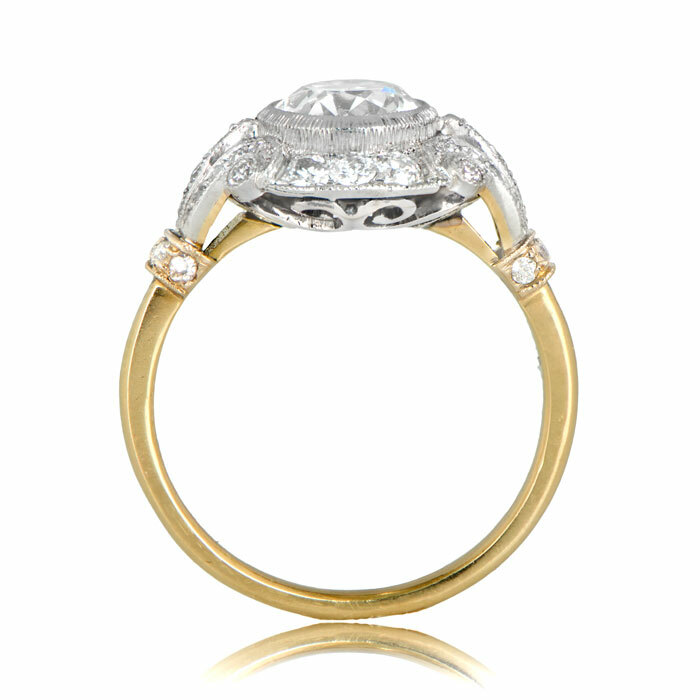 The center antique diamond is an old mine cut and is approximately 1.54ct, J color, and VS2 clarity. It was cut circa 1920. 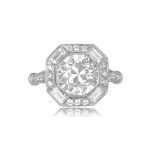 SKU: 12254 Categories: Old European Engagement Rings, Old Mine Engagement Rings, Vintage Engagement Rings - Contact us and request additional pictures.